At ZENIMAX ONLINE STUDIOS, we strive to bring classic RPG experiences to online multiplayer spaces, and we’re working to deliver on that promise with both The Elder Scrolls® Online and multiple unannounced projects. With The Elder Scrolls® Online, the team brings new and exciting adventures online to the world of Tamriel. Since its launch in 2014, ESO has won MMO of the Year three times and now boasts over 11 million players. You can learn more about The Elder Scrolls® Online on its official website. 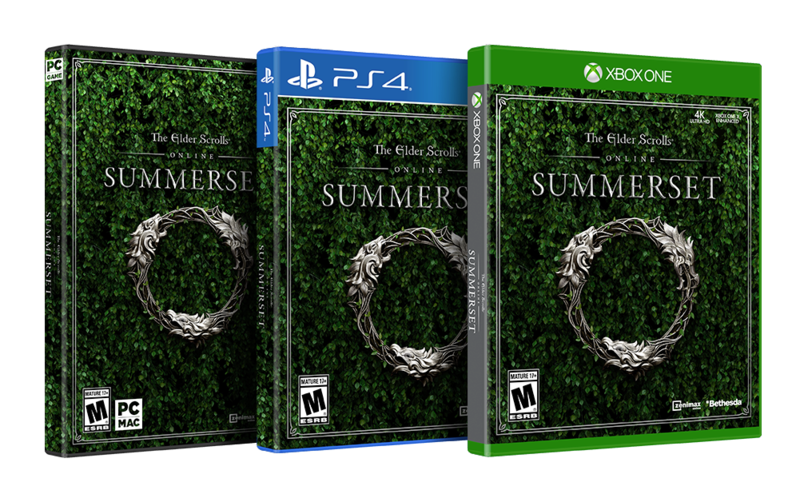 In ESO's latest Chapter, The Elder Scrolls Online®: Summerset, players have the opportunity to visit the beautiful island home of the High Elves for the first time since The Elder Scrolls®: Arena. We're hard at work on multiple brand-new ZENIMAX ONLINE STUDIOS products across many different platforms. We don't have anything to share on these new projects right now, but keep an eye out for announcements and more in the future! 'Elder Scrolls Online is all grown up now, and with its latest addition Summerset, it's delivering Grade A questing goodness.